There are so many fine Jack Russell Terrier Clubs in the world today that can help dog owners in an endless variety of ways. The following is a list of some of my favorite organizations and their websites. You'll find a wealth of information from friendly people and fellow lovers of this fine breed of dog who offer memberships to any owner, or persons looking to become an owner as they will direct you to the best Breeders from all over the world. These organizations are respectable, trustworthy, take great pride in protecting the Breed Standard, and have been enormously helpful to me, an avid owner. The Carolinas Jack Russell terrier mission is to "preserve, protect and work the Jack Russell Terrier. This organization sponsors annual Jack Russell races and other great events throughout the year. 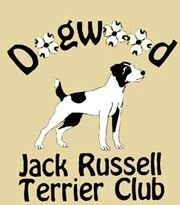 The Dogwood Jack Russell club serves Georgia and the Southeastern United States. They sponsor sanctioned Jack Russel trials and activities that support the breed. The Gulf Coast Jack Russell Terrier Network is dedicated to "preserve, protect and work" the Jack Russell Terrier. 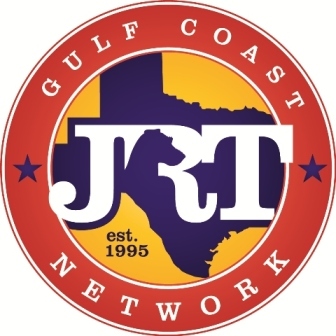 The organization sponsors "play days" and sanctioned JRTCA events. 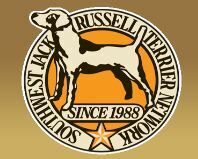 The Mid-America working terrier club is the place to go for Jack Russell Terrier fans that live in Nebraska, Iowa, Kansas and Missouri.The group sponsors sanctioned Jack Russell trials in the region. The MidWest Jack Russell club promotes fun, the Jack Russell breed, and sanctioned trials in the Illinois area. This organization coordinates events throughout the year that are sure to appeal to Jack Russell enthusiasts in the state. 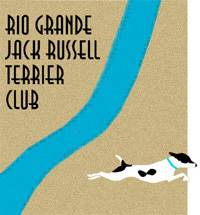 If you are looking for Jack Russell racing events or sanctioned trails in New Mexico and Western United States, then the Rio Grande Jack Russell club is for you. Located in Mississippi, near Memphis Tennessee, the River City Jack Russell Terrier club helps members enjoy Jack Russell races, handling classes, meetings and education. If you live in Colorado, then the Rocky Mountain Jack Russell Terrier Network is for you. The group organizes everything from sanctioned trials to Jack Russell learning events. 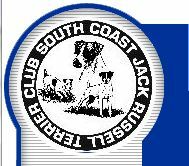 The South coast Jack Russell Terrier club of South Carolina helps to bring Jack fans together with events that enhance the Jack Russell ownership experience. 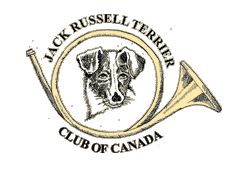 This is one of the oldest Jack Russell Clubs that are affiliated with the JRTCA. The Southwest Jack Russell Terrier Network is for the Jack Russell enthusiast that lives in the Dallas, Fort Worth and nearby areas in Texas. Jack Russell events are held throughout the year including Jack Russell races at the State Fair of Texas. The Yankee Jack Russell Terrier Network is the place to go if you live in Massachusetts up to Maine. The JRTCA associated organization sponsors events, trials and other activities that support the Jack Russell Terrier breed. Do you have a JRT Club I haven't listed here? If you have a club logo, upload that as well. Your JRT Club will appear on a Web page exactly the way you enter it here. You can wrap a word in square brackets to make it appear bold. For example [my story] would show as my story on the Web page containing your story. Do you have a question for a JRT club featured here? Jack Russell Terrier Club of SA Inc.
Hope this will help people to find the South Australian Jack Russell Terrier club. jackrussellterrierclubsouthaustralia.com The logo is added. These are some excellent local Jack Russell organizations and I hope you will consider subscribing for membership to one, or several for that matter, and of course attend a few of the sponsored events. The Clubs are where you will find what you're looking for. That, and so much more.